You might not think you're a bluegrass fan, but if you ever strum simple chords on an acoustic, Brad Davis's bluegrass tips will add sparkle to your rhythm parts. 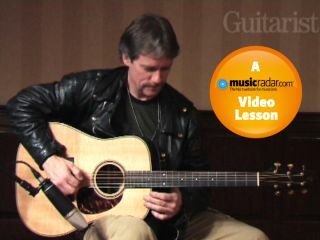 In this video lesson, Grammy-winning guitarist Brad Davis delivers a whistlestop tour of bluegrass playing, starting with a basic overview of the style of rhythm guitar used in bluegrass, then revealling some of the secrets of his phenomenal technique. And as if that wasn't enough, we've tabbed some of his examples, too. With its alternating bass notes and chromatic runs, this is typical of bluegrass rhythm guitar. However, it's useful to be able to play this type of thing as it relates to a huge range of accompaniment styles. Pick evenly, keeping hand movement to a minimum. 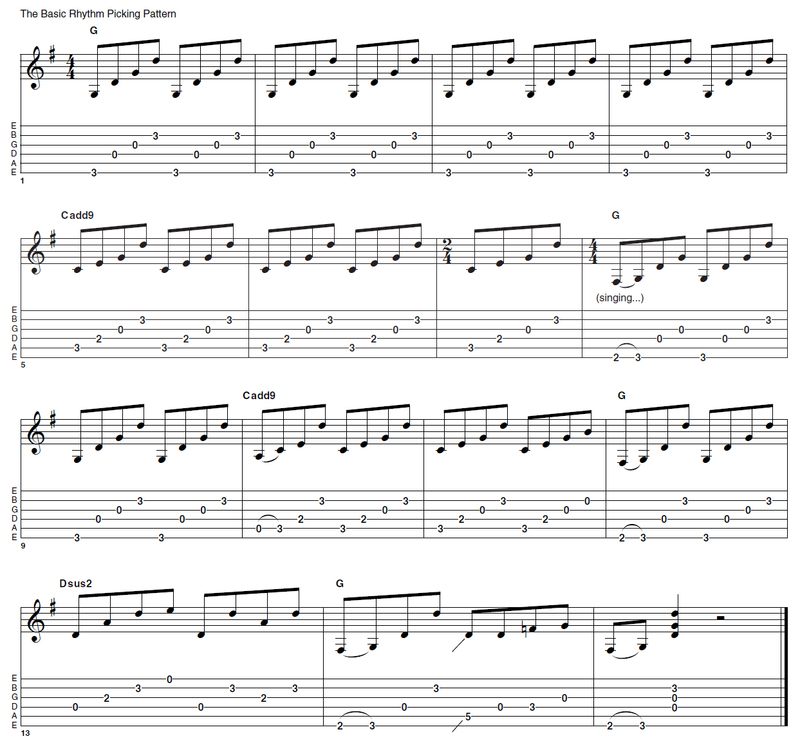 By cutting down on the frills and locking into a solid ascending pattern for each chord, you can develop what Brad Davis calls the RPP - the Rhythm Pick Pattern. To be able to sing and play effectively, you need to practise this pattern until it's second nature. This lick uses the G major pentatonic (GABDE) with the addition of the minor third (Bb). Use strict alternate picking, making sure that the first and second notes are both played with downstrokes (the initial G is twice as long, so you're missing an upstroke there).